Welcome Nicks Backfire Brand fans! Now you can buy your favorite Nick’s Backfire Brand products and have them shipped to you. 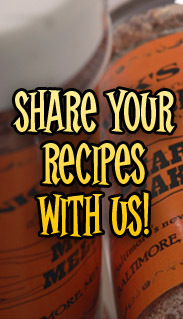 Here you will find our Chili, Dry Rubs, Salsa and Dip mixes. A few points to get you started. We are only offering the dry-spice blends on the site. We are going with a standard “shipping and handling” fee that will cover most orders. If your order is large enough the rate might have to increase. If you have a small order of one to two items contact us for a reduced rate. Special thanks to Aaron at Atomic Age Media for all of his hard work, help, and continuing guidance. Please feel free to ask us any questions you may have via the contact page. Also sign up for our newsletter. Thanks! Have a Spice day! Now you can buy your favorite Nick’s Backfire Brand products and have them shipped to you. A few points to get you started. 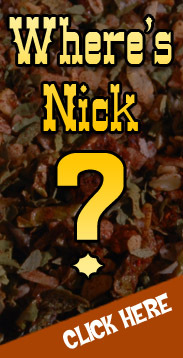 We are only offering the dry-spice blends on the site. We are going with a standard “shipping and handling” fee that will cover most orders. If your order is large enough the rate might have to increase. If you have a small order of one to two items contact us for a reduced rate. Special thanks to Aaron at Atomic Age Media for all of his hard work, help, and continuing guidance. Please feel free to ask us any questions you may have via the contact page. 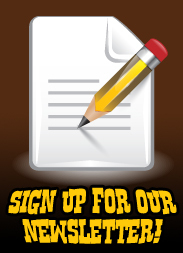 Also sign up for our newsletter.